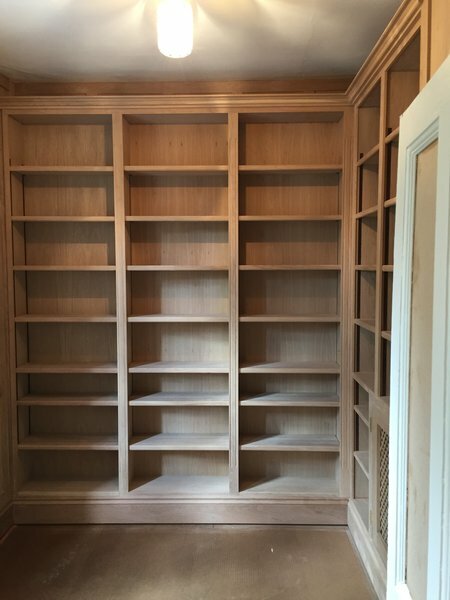 From hanging doors to bespoke wardrobes, and bookcases etc . A time served apprenticeship to city and guilds and advanced city and guilds in carpentry and joinery. Now approaching 40 years in the trade. After all these years, I still get a lot of pleasure from doing the job I love. I like to think that this shows in the high standard of work and the friendly service I provide. If you are starting or thinking of starting a project then please do not hesitate to get in touch. Roy made & fitted a new utility sink worktop, which looks beautiful - perfectly fitted and he managed to find time to give it the 3 coats of oil recommended. He also converted our current back door into a stable door, which looks brilliant. It was an awkward size, but he worked solidly through the day to get it done on time & it's a great bit of work. Just what we were hoping for. Will be using Roy again for any future jobs. 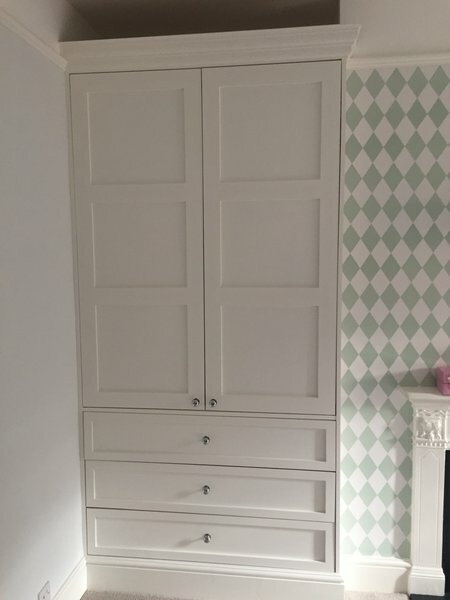 Roy has just finished a fitted wardrobe for us and came up with an imaginative solution for an awkward space. His work is top class - we couldn't be happier. 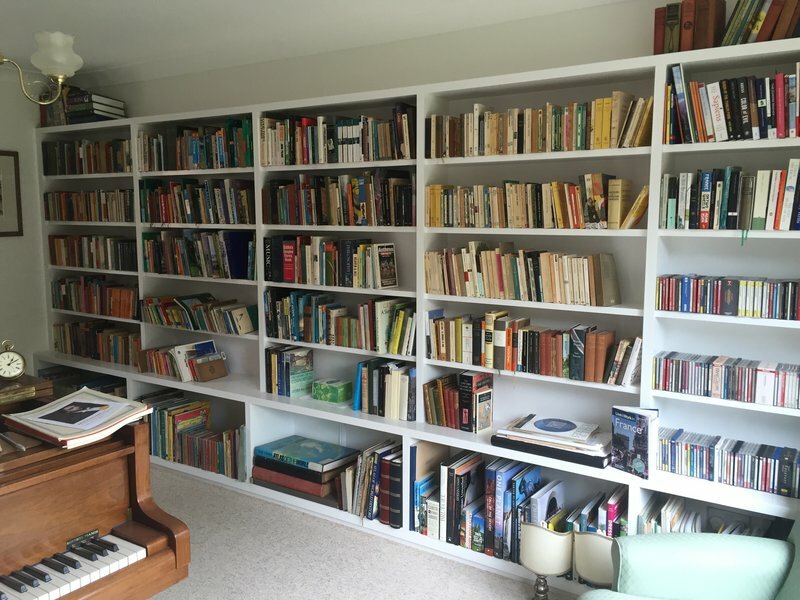 Roy Hogg built a number of shelves for me in unusual spaces (such as under the staircase). The work was done to perfection. He clearly takes great pride in his work and was highly creative in his solutions to the problems posed by the unusual spaces in which the shelves had to go. He always arrived when he said he would and worked efficiently and considerately. He is good natured and good humoured and I enjoyed the discussions I had with him. It was a pleasure to have him in the house. The price he charged for the work was surprisingly low, better than reasonable. I would recommend him to anyone. 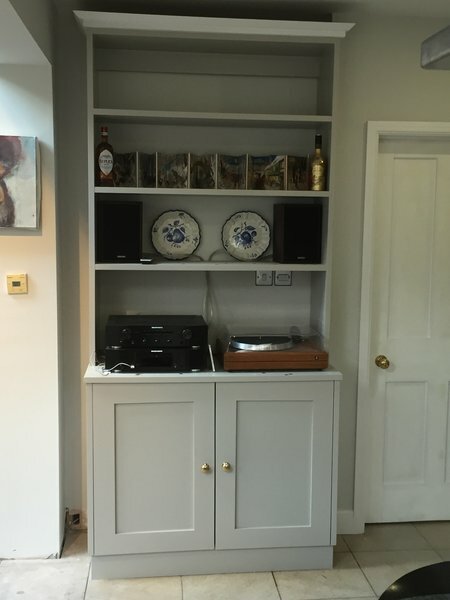 Roy of RAH Carpentry has done 3 jobs for us over last six months - fitting out a utility room, building book shelves and installing storage facilities in a barn. All jobs have been done to a high standard and we have benefited from Roy's wealth of experience. Roy works quickly and efficiently on all jobs he performs. I have no hesitation to recommend him for any carpentry work. Courteous, professional, high quality, adaptable, creative with good design ideas. Turns up on time every time. Tidy, worked quickly and efficiently. Highly professional. Strongly recommended. We are absolutely delighted with the bookcase Roy has built for us. It is finished to an extremely high standard and exactly what we planned. He worked in a tidy and timely manner with a very keen eye for accuracy. He happily talked things through as it progressed and we are so thrilled that we have asked him to build us a second one. We were introduced to Roy Hogg by Howdens Joinery as he holds an account with them, we had a number of quotes. 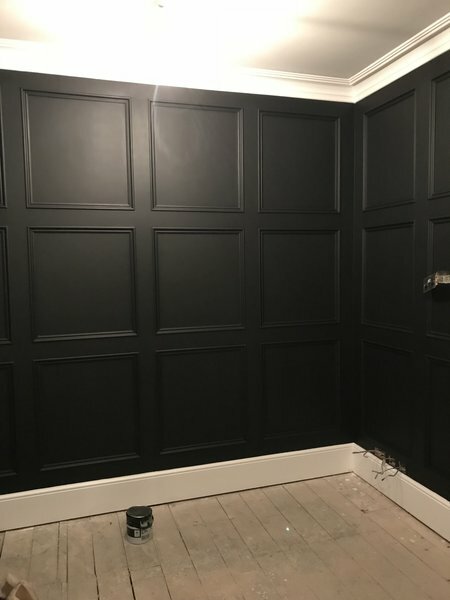 Roy was prompt at giving us a competitive quote, we accepted this on the balance of personality and experience, the work was carried out in a timely manner with the minimum of disruption to us, the quality of workmanship was impressive. He also hung a further seven doors and tiled our kitchen. I would have no hesitation in recommending Roy’s as a trustworthy tradesman. 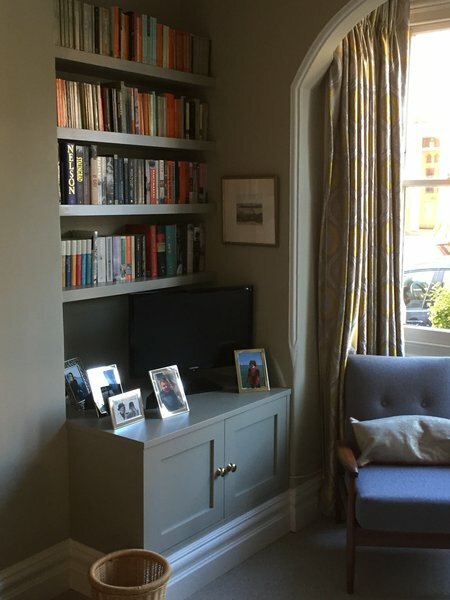 We have a period property that can be complex at times; it has different levels, uneven walls and other challenges. Roy is extremely reliable, experienced and has helped us enormously to produce excellent outcomes. Can't wait for him to come back again.